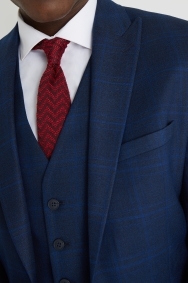 Smart blue checks for every occasion. 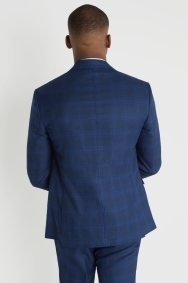 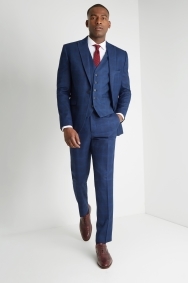 With its subtle pattern, versatile colour and modern cut, this blue check suit is a true all-rounder that will always see you sharply dressed. 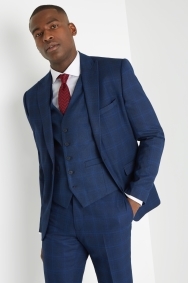 The skinny fit will provide you with a contemporary profile, while peak lapels also help this suit to stand out from the crowd. 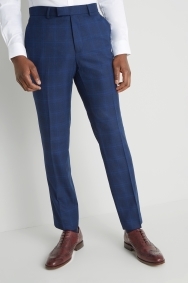 Choose a plain white shirt teamed with brown shoes to highlight the rich blue tone of the jacket and trousers. 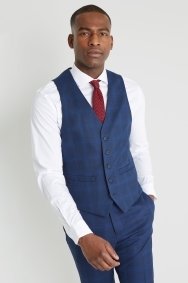 Add in the matching waistcoat for an even smarter look. 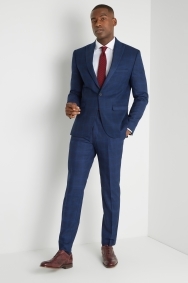 Great sizing, looks great on.